One thing I’ve never really covered in any depth on Well Driven is the Hatchback, and more specifically the “Hot Hatch” – Sure, I’ve done a few bits on my all time favourite little pocket-rocket, the Mini Cooper S and also covered a few others over the years, but I don’t think I’ve ever done a dedicated review of one until now. The reasons for this are pretty simple, I just haven’t spent much time with them. My focus has always been on the faster or more luxurious types of cars like Porsches and Rolls Royces, but sometimes one gets behind the wheel of a car that is so good to drive, it would be rude not to share that experience with the world. 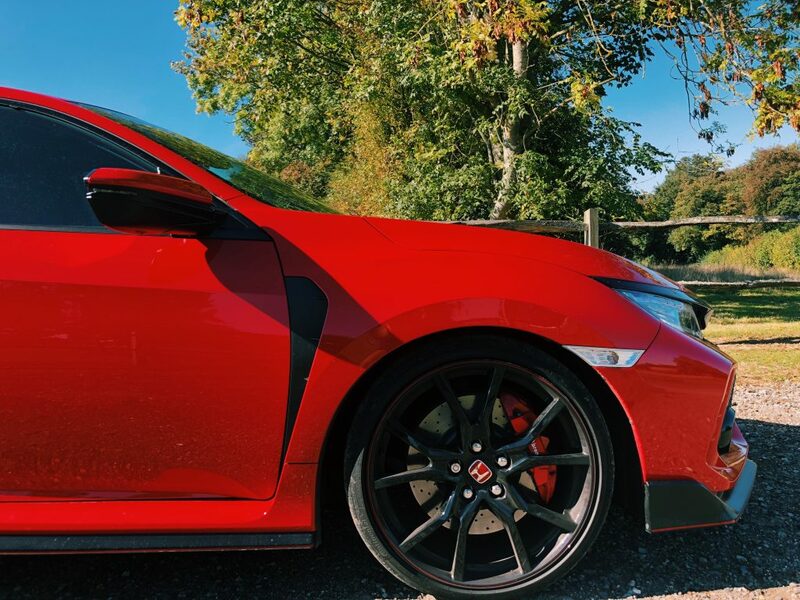 I have always been a fan of the trusty hatchback, but, and I’m being completely honest here, there are few that I genuinely get excited about. As I have already stated, I love the Mini Cooper S and I think cars like the VW Golf GTI and BMW M140i are brilliant cars, but they just don’t give me the “fizz”. Golfs are great, in fact, they are simply the best of the bunch and if I was told I could have only one car for the rest of my days and it had to be a hatch, the Golf would be my choice, but like burger at the new gastropub around the corner, it’s the “safe choice”. This is where the Honda Civic zooms past in all it’s lairy and angular glory. Straight off the bat, I’m not sold on the styling, it’s too “out there” and there’s far too much going on for a car that will predominantly be driven by people in their late 30’s to early 40’s, but in comparison to the standard Civic, it’s okay. It just screams “Look at me, look at me!” which is fine if you’re that kind of person, but I’m not. Credit where credit is due, it definitely gives it more character than its German. Inside isn’t much better either, bright red bucket seats set the mood and then it’s cheap plastics and faux-carbon as far as the eye can see. The buckets are very comfy though, and incredibly supportive as you look over the bulging bonnet you find yourself in a near-perfect driving position. 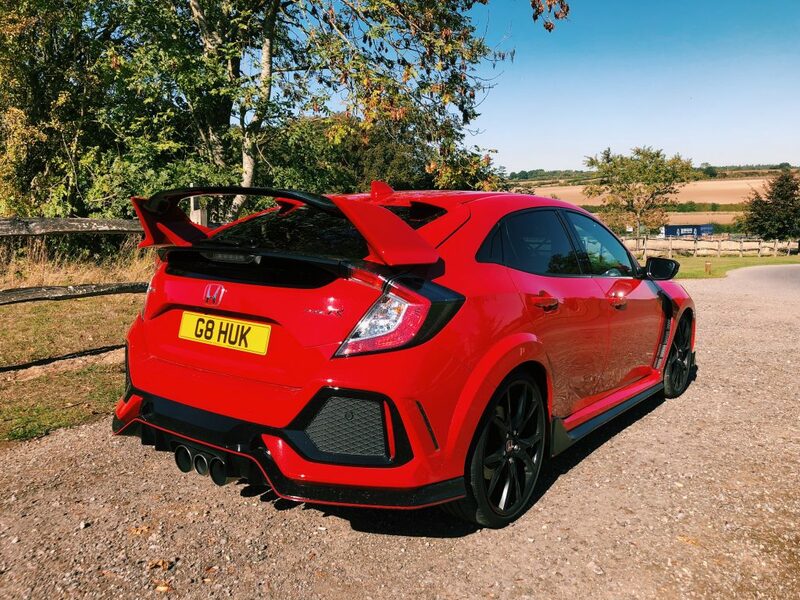 The new Civic comes with a 2.0 turbocharged VTEC engine that produces 316bhp and 295lb-ft of torque giving it a 0-62mph of just 5.7 seconds, meaning this car has a lot more offer than just its shouty looks. Acceleration feels brutal with a wonderfully linear feel. The suspension is firm and the steering is heavy even its softest setting which can make it a bit much to bare at slower speeds, but that’s a small price to pay for those glorious moments when you can thread it through winding country roads. All the feedback you get from the wheel makes you feel fully in control of this car, it’s a real pleasure to drive fast. This is all only improved by the manual 6-speed gearbox that is so precise and mechanical feeling, that the only car I’ve driven in the last year that feels better is the one in the Caterham 310S – The throw is beautifully short and it just clicks into gear in an overly satisfying manner. Laden with dodgy plastics and fake carbon, but who really cares?! 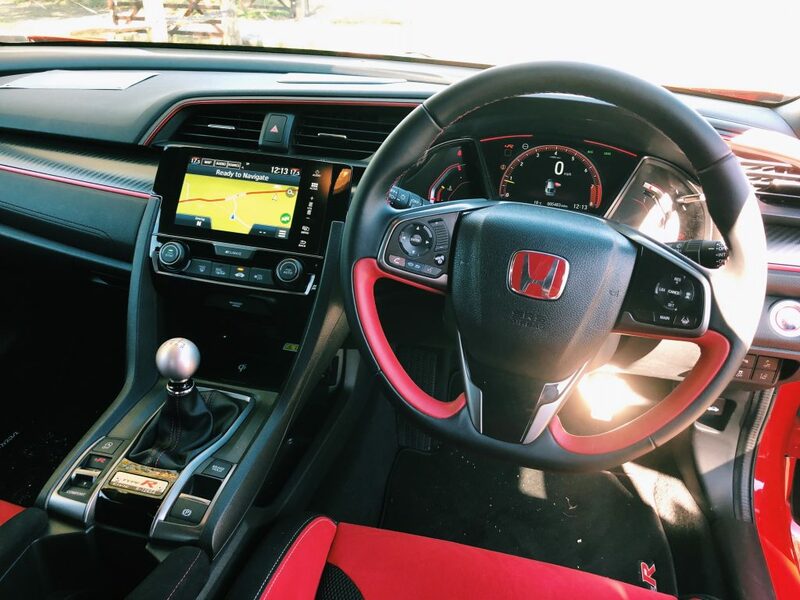 The Type R has 3 different driving modes available, a comfort setting, a sport setting and then the +R setting but given the fact that I only had the car for a small window of time I mainly switched Sport and +R and then eventually settled for Sport as the main mode. 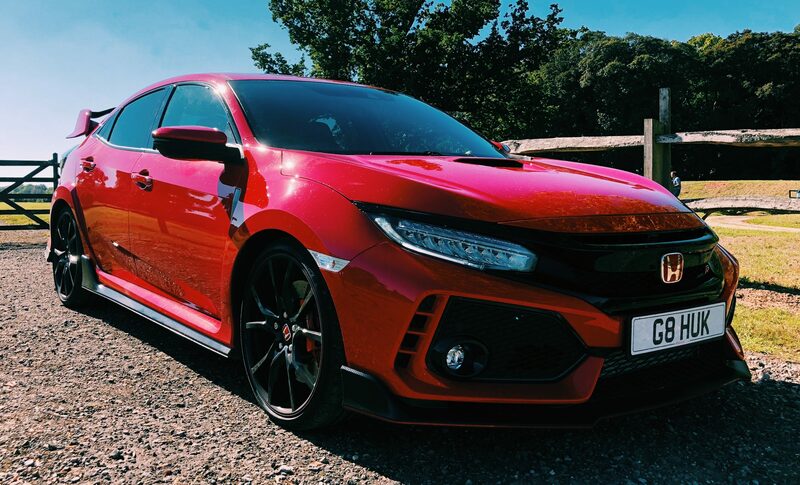 +R is definitely the most fun and it stiffens up the car to make it feel a lot more switched on, but for driving on the UK’s roads, you’re better off waiting for a track day.